Born in Egypt, Mo Saif graduated from the College of Veterinary Medicine, Cairo University in 1958. He completed a PhD degree in 1967 at the College of Veterinary Medicine, The Ohio State University (OSU). In 1973, he qualified as a Diplomate in the American College of Veterinary Microbiologists (ACVM), and in 1991 he became a Charter Diplomate of the newly formed American College of Poultry Veterinarians (ACPV). Upon receiving his PhD he was offered a position at the Department of Veterinary Science, the predecessor of the current Food Animal Health Research Program, Ohio Agricultural Research and Development Center, and the Department of Veterinary Preventive Medicine, OSU. He was promoted from assistant to associate to full professor, and in 1993, became the head of the Department and assistant dean of the College of Veterinary Medicine. His research career encompassed diverse studies on bacterial, fungal and viral diseases and the immune response of turkeys. Subjects studied included mycoplasmosis, colibacillosis, pasteurellosis, erysipelas, aspergillosis, paramyxovirus, infectious bursal disease (IBD), enteric viruses and influenza viruses. His studies contributed to the understanding of the epidemiology, pathogenesis, diagnosis and control of disease, and the identification of several novel viruses. He established and maintained a specific-pathogen-free turkey flock in 1964 to support experimental disease research. Mo worked closely with the poultry industry and has received several state and national industry awards. 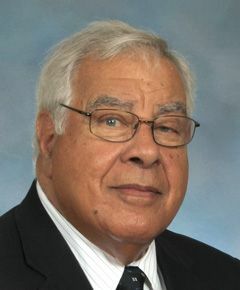 In addition, his research was recognized by OSU and by national and international professional organizations. He served as president of the American Association of Avian Pathologists, the ACVM and the ACPV. Prior to his retirement in 2013, he had published 164 peer-reviewed papers. He mentored 21 PhD and 10 MSc candidates. His laboratory is designated the OIE Expert laboratory for IBD virus. 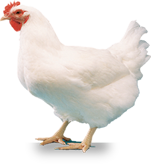 He was associate editor then editor-in-chief of the 11 & 12th editions of Diseases of Poultry. After retirement, he became editor of Avian Diseases. In 1970, Mo married Linda and they have lived since then on their farm, where they enjoyed raising beef cattle while their son, Justin, was growing up. Linda is also a veterinary researcher and holds the title of Distinguished University Professor at OSU.